Next month the humans and I will be setting sail for two weeks! I’m so excited I could burst! The feel of the salty air on my fur. The wind in our sails. Bobbing around on anchor as we sleep. It’s going to be purrfect. I hope you all have a pawesome weekend! Hi Bailey my buddy!!!! 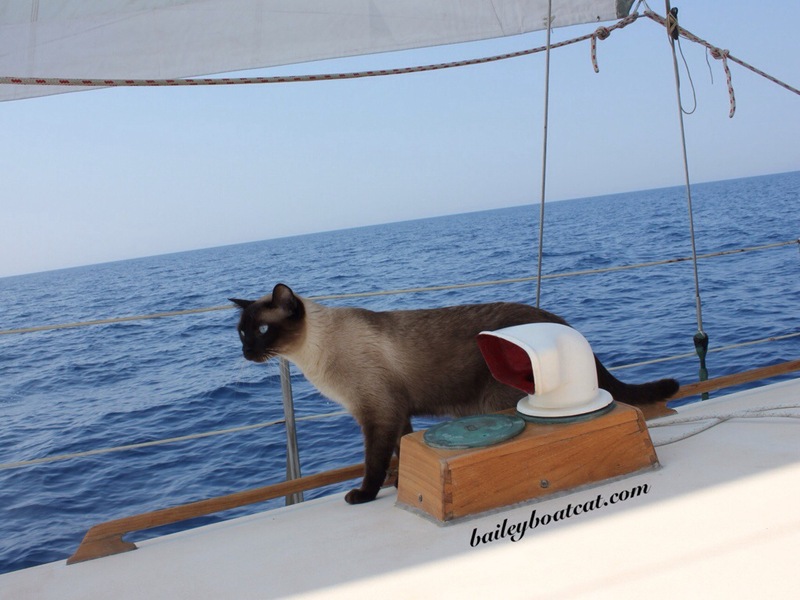 Oh how exciting – a two week sailing trip – that will be FABULOUS!! Lucky you……..
How fun, Bailey! I bet you are counting the days. Only two weeks? When will it be a couple of years? That’s exciting! Have a wonderful, safe adventure! Maybe you can write book #2 about the trip. How exciting for you, Bailey! OMC Ya’ll awe goin’ on anuddew twip?? Meez can’t wait tu heaw all ’bout it. Any room for a small travel companion? It sound amazing! !